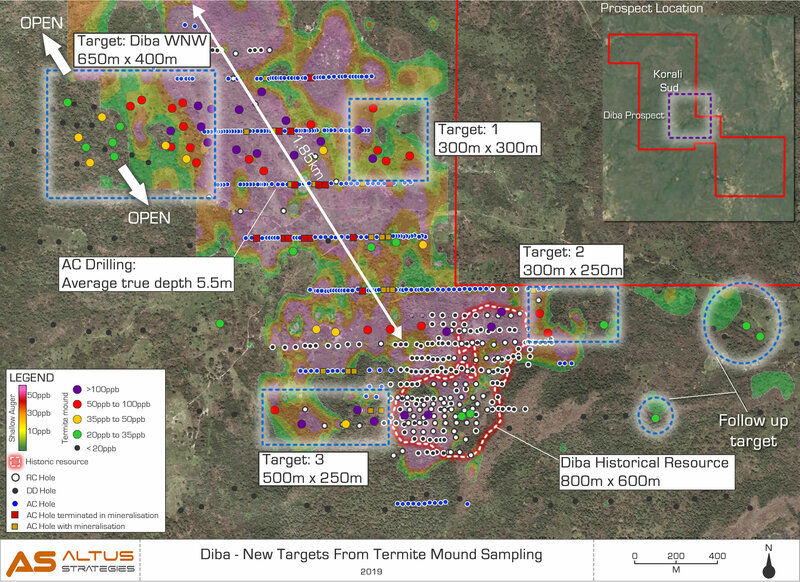 DIDCOT, UK / ACCESSWIRE / April 17, 2019 / Altus Strategies Plc (AIM: ALS; TSX-V: ALTS), the Africa focused project and royalty generator, announces that it has defined a further significant prospect at the Diba gold project ("Diba" or the "Project"). Diba is strategically located 13km south of the multi-million ounce Sadiola gold mine, in the world renowned 'Kenieba Window' gold belt in the west of the Republic of Mali ("Mali"). 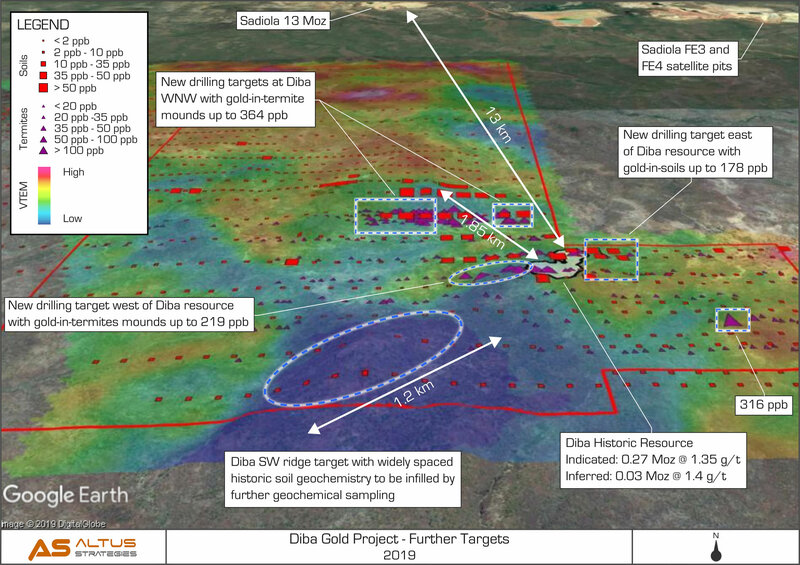 "Our detailed review of Diba's historical data as reported on 4th February 2019, identified multiple priority drill targets including a 1.85km long anomalous zone adjacent to the historic Diba resource ("Diba North West"). In addition, a number of gaps were identified in the coverage of the surface geochemistry. 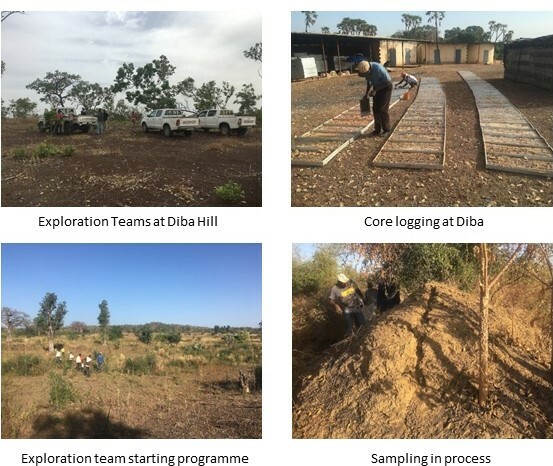 Our systematic programme of sampling in some of these areas has discovered a significant new prospect at Diba WNW, with a footprint of approximately 650m by 400m. The results also highlight the potential for further discoveries to be made at Diba. In addition, a 1.2km long potentially silicified ridge, located approximately 500m southwest of and directly along strike of the historical resource will also be followed up. The 81km2 Diba (Korali Sud licence) project is located in the Kayes region of western Mali, approximately 450km northwest of the capital city of Bamako. 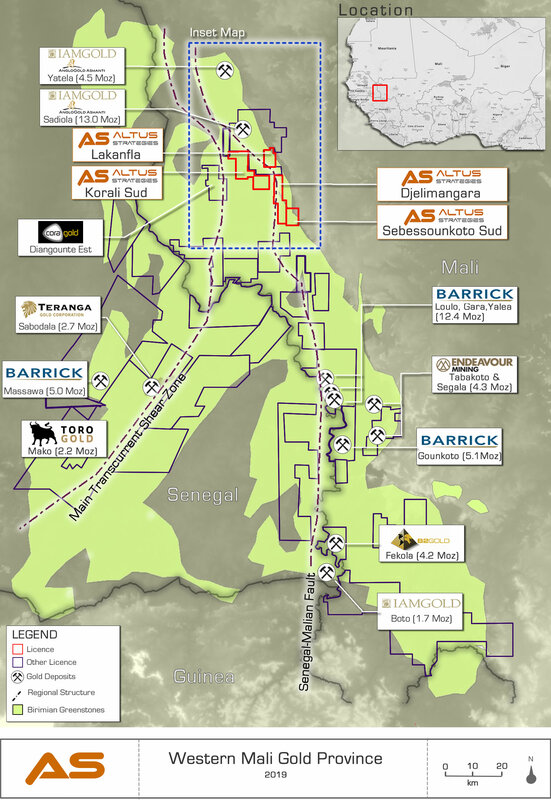 The project sits 5km west of the Company's Lakanfla gold project, approximately 13km south of the multi-million ounce Sadiola gold mine and 35km south of the multi-million ounce Yatela former gold mine. Diba is bounded by the Sadiola permit on its northern and eastern boundaries. Sadiola is owned by Anglogold Ashanti (JSE: ANG, NYSE: AU and ASX: AGG), IAMGOLD Corporation (TSX: IMG & NYSE: IAG) and the government of Mali. 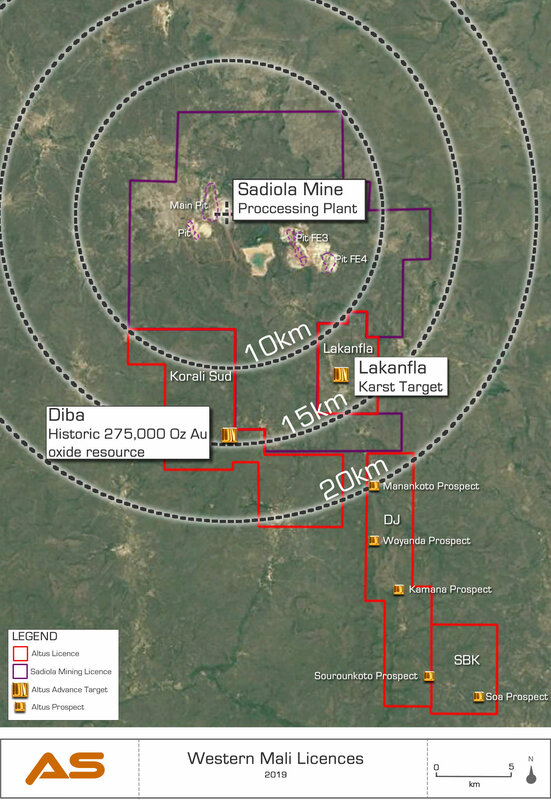 In November 2018 Anglogold and IAMGOLD disclosed that a process to identify a third party to buy the Sadiola mine had been initiated and that the oxide ore stockpiles at Sadiola were expected to be depleted in the first half of 2019. Intersections are calculated based on a greater than 0.5g/t Au cut-off grade, a 40g/t top-cap of grades above that grade and where there is = 3m of consecutive internal waste.